Download APK by selecting “Student Loudclass Interactive” in Interactive sign-in page or by using the provided download URL. 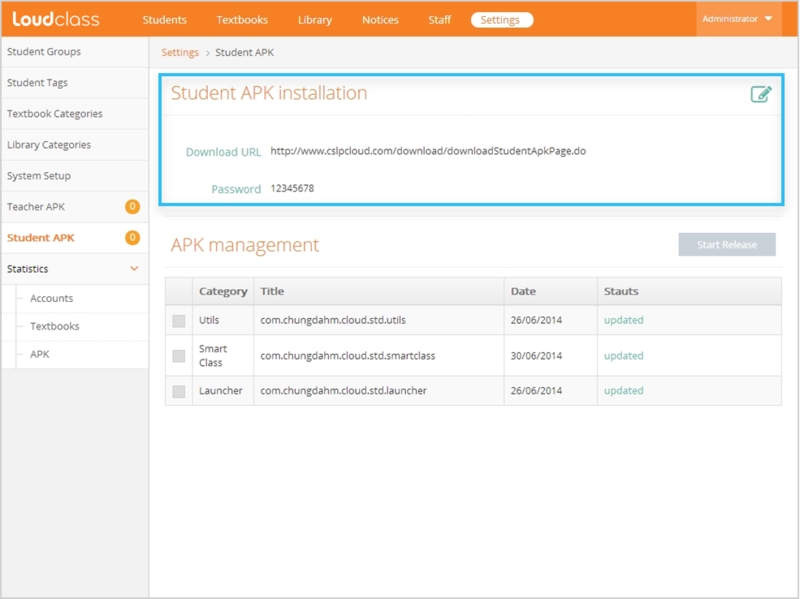 Check the APK installation password under “Settings” > “Student APK”. The initial APK installation password can be changed by the admin. The registration code and the APK installation password is needed for student device registration.